Céad Mile Fáilte is the greeting on this brass Irish welcome sign that may be used as a door plate. 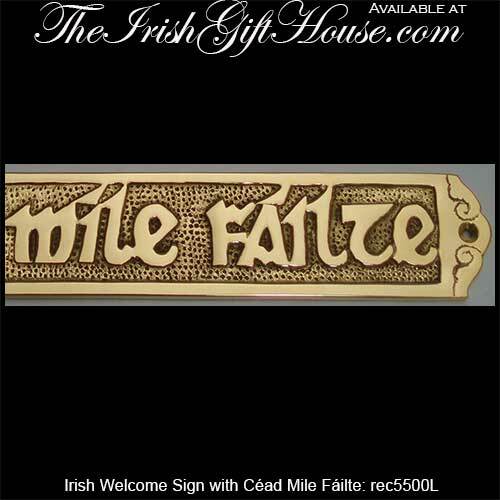 This Irish welcome sign or door plate features the traditional Irish greeting of Céad Mile Fáilte. 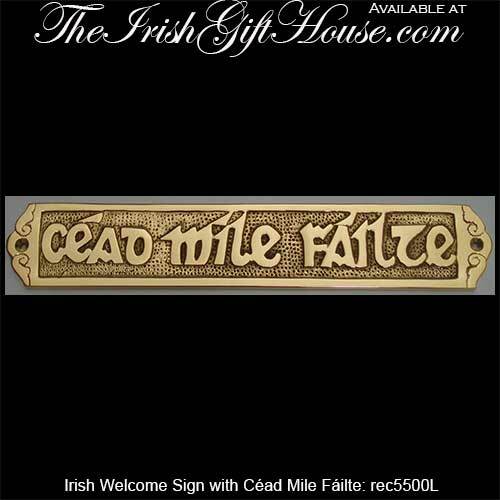 The brass Céad Mile Fáilte door plate measures 8 1/2" wide x 1 1/2" tall and it is gift boxed with the mounting hardware. 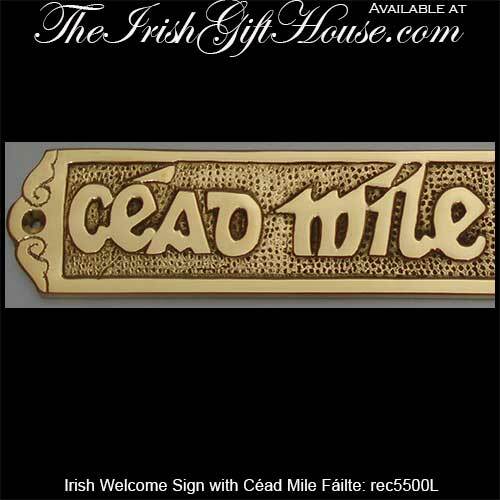 The Céad Mile Fáilte Irish welcome sign is available from The Irish Gift House and it is made in the United States.